In a rapidly changing world together with an ever increasingly regulated environment it is becoming difficult to keep up with the technological infrastructure and your legal obligations. When companies expand they sometimes keep adding onto their existing power supply installations, possibly leading to an overload situation and major downtime in the future. We can provide a full consultancy and design service enabling us to guide you through technical and legislative issues, leaving your company with an electrical system that not only meets your needs for today but also tomorrow. 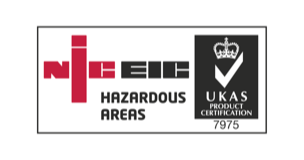 Our Hazardous Area engineers have the relevant qualifications to undertake work in various locations. Sometimes electrical work is undertaken in areas where there are gases, vapours or combustible dust particles present. In such circumstances, the work needs additional requirements to ensure that contractors are working safely. We are registered as Approved Contractors and are part of the Safe Contractors affiliation. CompEx is a global certification scheme for electrical and mechanical crafts persons and designers working in potentially explosive atmospheres. Clarkson Services Limited has over 30 years experience within the Flexographic Industry. Knowledge and professionalism has accelerated us to a leading position within the trade. Our expertise also range to Solvent and Distillation.